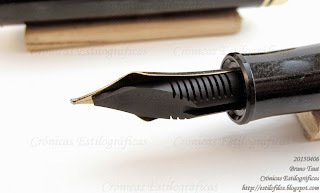 Kuretake pens use Bock nibs. Kuretake is a very traditional company, founded in 1902, from Nara. 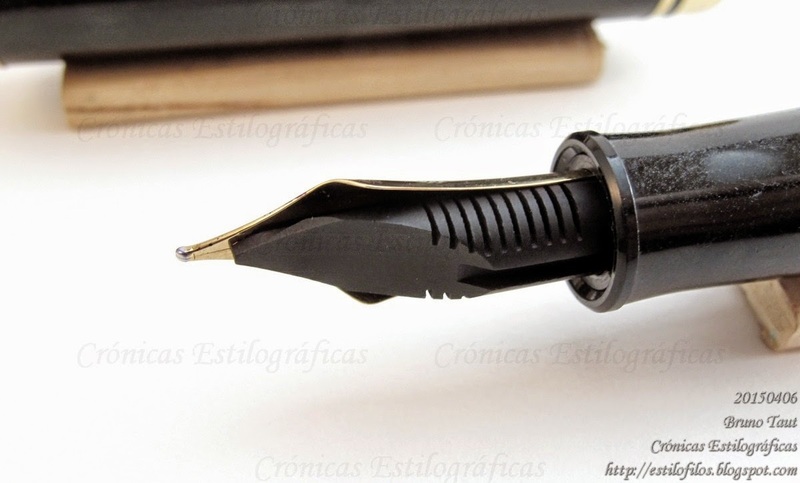 Its original product was solid ink, sumi. 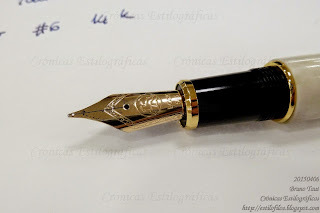 However, along its history several technological developments (liquid sumi ink in 1955, relfillable brush pen in 1991, to name just a couple of them) pushed the company into the business of brush pens. 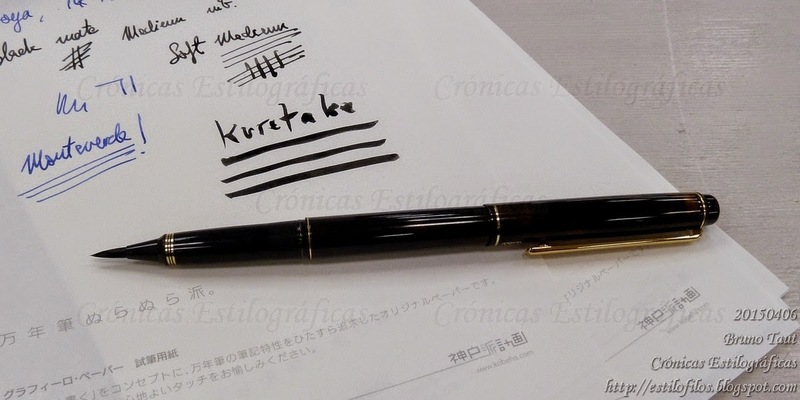 Only in 2008, Kuretake started making fountain pens. A Kuretake brush pen together with a written sample. The current Kuretake fountain pens are cartridge-converters and implement size 6 nibs by Peter Bock in 14 K gold. Medium point seems to be only option. Their prices range between JPY 50000 and JPY 60000, before tax. 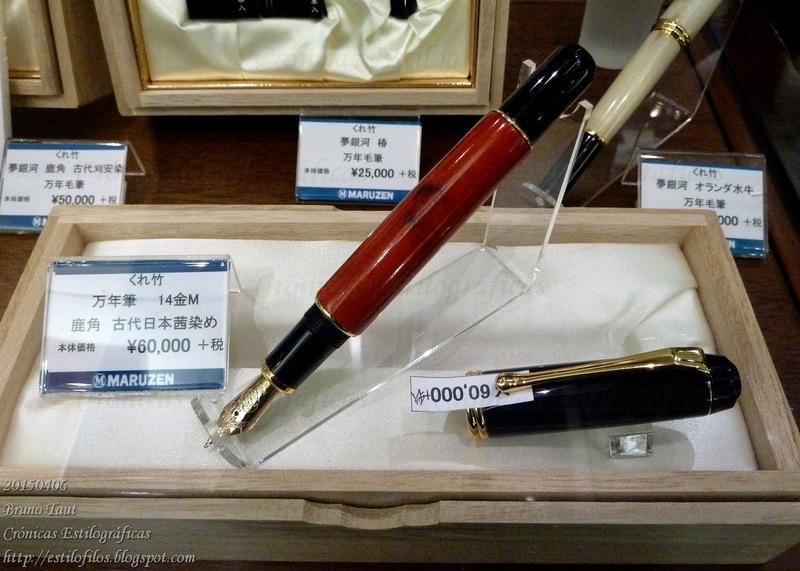 A Kuretake pen on display at Maruzen in Tokyo. The price is clearly marked: JPY 60000, plus tax. Another Kuretake fountain pen. This model is cheaper: JPY 50000, plus tax. 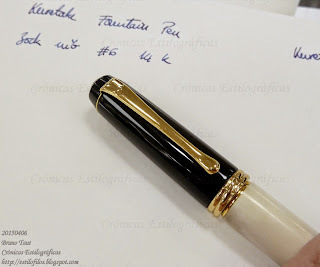 The obvious German nib. Medium point is the only option. There seem to be no problem in writing Japanese with these German nibs (::1::, ::2::).